Pranas Slusnys, CEO of Miner One – a crowdfunded cryptocurrency mining company – is making some bold predictions about the future of bitcoin and bitcoin mining. 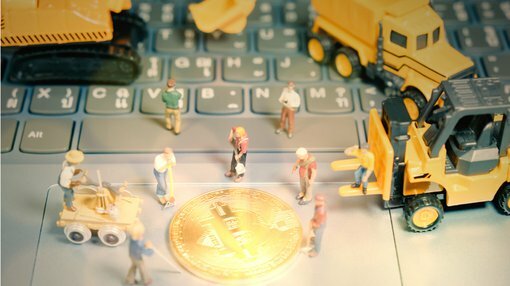 Bitcoin’s dramatic tumble from December’s highs combined with a spike in bitcoin mining difficulty have led to speculation among crypto enthusiasts that bitcoin mining is about to become unprofitable. Pranas Slusnys, CEO of Miner One and a 20-year data industry veteran tackles questions about the profitability of mining and why he’s bullish about the future. Finfeed: Pranas, let’s get right to it. BTC is well off its December highs, mining difficulty has shot upwards, and there’s lots of chatter these days about mining no longer being profitable. You are starting a crypto mining project under such conditions? Pranas Slunys: Well, we have been saying from the outset that profitable bitcoin mining is no longer something amateurs can do at home with improvised equipment. To mine profitably these days, you need top-of-the-line equipment at rock-bottom prices, you need to constantly be upgrading it to stay competitive with existing industrial mining outfits, you need low overhead, especially electricity and cooling costs, and you need 24/7 maintenance. How many people currently mining are able to do this? The answer is not many. But bitcoin price levels like we saw late last year covered up a lot of inefficiency. Even sloppy mining could be profitable. That is no longer the case, which is why after the hype has subsided, now we hear a lot of moaning and groaning about how unprofitable mining has become. But the ones who are complaining and spreading fear are the ones who weren’t doing it very efficiently to begin with. FF: So, if you are super-efficient, it’s still possible to mine bitcoin profitably, no matter what? PS: I’m not going to say that it can be profitable “no matter what.” I will say that the bitcoin network is designed to work the way it does and to promote efficient processing of bitcoin transactions. Doing it at home in most cases just isn’t going to be efficient. Anyway, Bitcoin is supposed to be a currency suitable for transactions and savings, not an instrument of speculation. Do people sometimes speculate in currencies? Yes. But currency, at its basis, should be a reliable store of value. It’s hard for it to be that if its value is fluctuating by more than 50%. So return to a more normal trendline is beneficial. I think we can all see that a certain bitcoin mania developed late last year that now looks to have been a speculative bubble. What was at one point a niche experiment broke through, took off, and became a hot topic. People with money to invest were seized by fear of missing out and jumped in without much thought. This caused bitcoin to skyrocket. Skyrocketing bitcoin, in turn, caused a lot of people to jump into mining, because at sky-high bitcoin prices, as I said, even low-efficiency mining could be profitable. This caused difficulty to increase at rates that, I believe, are not going to continue over the long run. FF: You predict mining difficulty will actually decrease? PS: Yes, I do. The bitcoin network is designed to adjust that way. PS: Well, bitcoin has hardly been in a situation like the current one. Let’s remember what we are talking about here: a completely new phenomenon that barely has a track record on which to base any predictions. Almost everything going on in cryptocurrency is uncharted territory. It’s important for investors to know this. This entails both a big potential upside, but also risk. We’ve been very candid about the fact that great rewards go hand in hand with certain risks. Nevertheless, as we know, people easily get caught up in the hype and lose their heads jumping into things they have little understanding of. The sort of bubble that bitcoin got into late last year is not sustainable, nor is the mining that has been going on over the past few months. So difficulty will come down as more and more miners get those electricity bills, realize the mining they are doing can no longer be profitable, and exit the system. FF: So why will mining difficulty decrease? PS: Because mining is becoming unprofitable for all but the most efficient miners. And that’s a good thing. That is a competition Miner One can definitely win. We have what it takes to be the best. FF: Does any of this change Miner One’s basic strategy? PS: We have said from the outset that Miner One will be buying top-of-the-line miners at great prices and will mine with an efficiency that will put other miners to shame. We have an ideal location in Luleå, Sweden, where the climate keeps cooling costs minimal, and electricity is cheap, plentiful, and 100% green. And we have the best team to set it all up and put it in motion. Meanwhile, the current difficulty: BTC price ratio will have the effect of pushing out inefficient miners, leaving more room at the top for Miner One and others who know how to do it right. 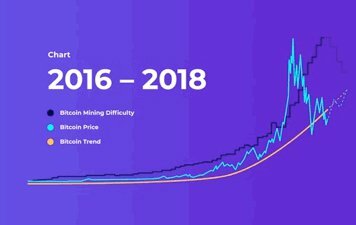 We do not expect the current difficulty: BTC price ratio to stay as it is over the long haul. But we do expect bitcoin to continue along its general upward trend. It is a proven technology that works and is attractive for many reasons. Although bitcoin’s recent decline was just as dramatic as its spike late last year, if you look at the overall trendline, it is positive. Just think back to what it was worth exactly one year ago and compare it to today. Last year in March it was trading in the range of USD 1,100–1,300. Even at today’s USD 8,300, that’s a remarkable return. FF: So your message, in short, is keep calm? It’s important to keep the risks in mind. We’ve said many times it’s a new and unsettled field with risks as well as potential rewards. People who are looking for a sure bet with zero risk should look elsewhere.